My first time at Cafe Enye! 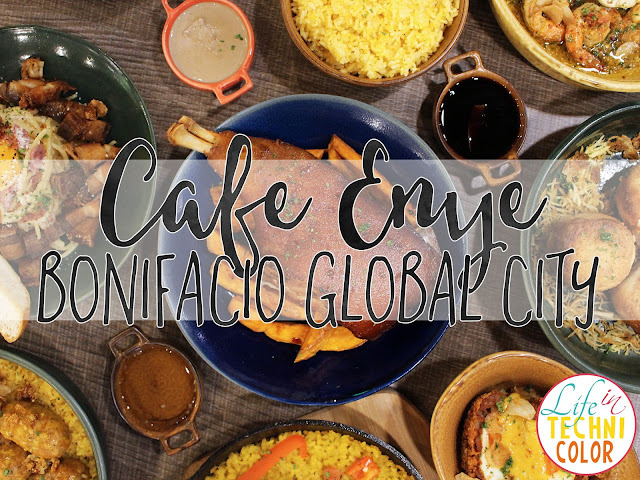 Late last year, Cafe Enye opened their second branch at the Citi Plaza in BGC. Since my friends live closer to the area, we decided to eat there instead. Since it was a Saturday (no office), we pretty much had the place all to ourselves. 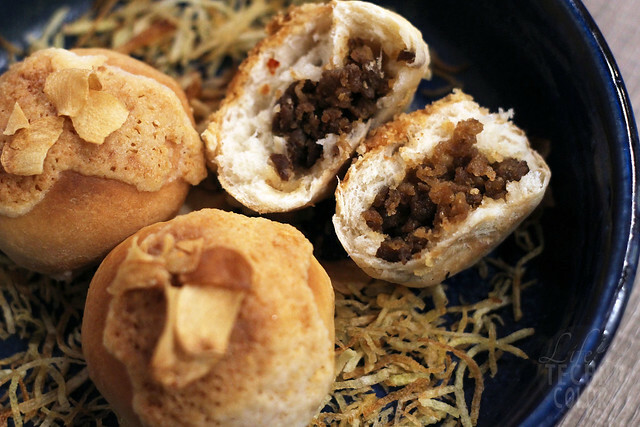 For starters, we had the Enye Callos Buns and Tapa Buns. 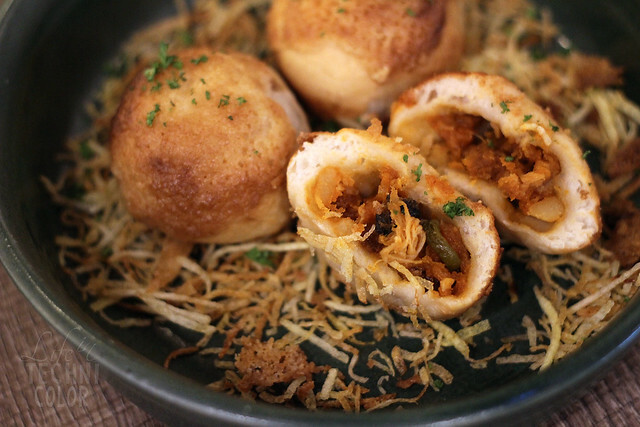 Soft and savory, these freshly made soft buns are the perfect appetizers or snacks to have at Cafe Enye! 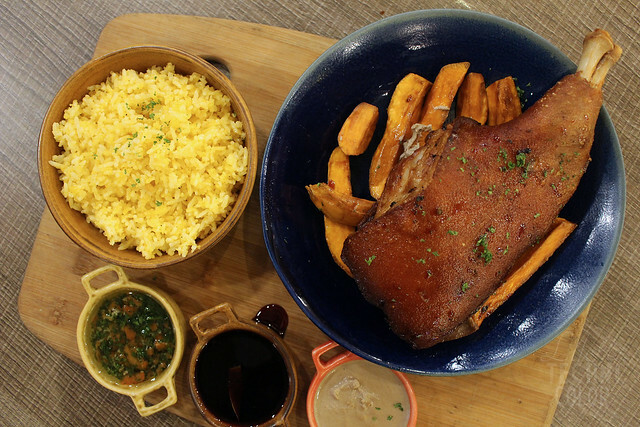 Choose from either slow-cooked callos or tasty house-cured beef for only Php 135 for three pieces! Next we had is Gambas Enye Style (P350). 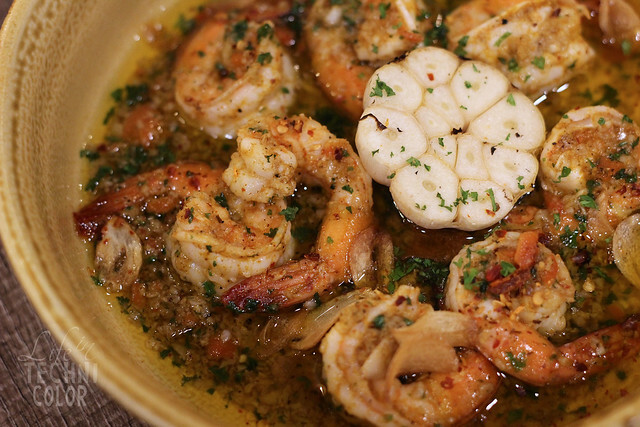 If you're a fan of garlic, these succulent shrimps are cooked in garlic infused olive oil, roasted garlic, and finally topped with garlic chips and garlic chives. 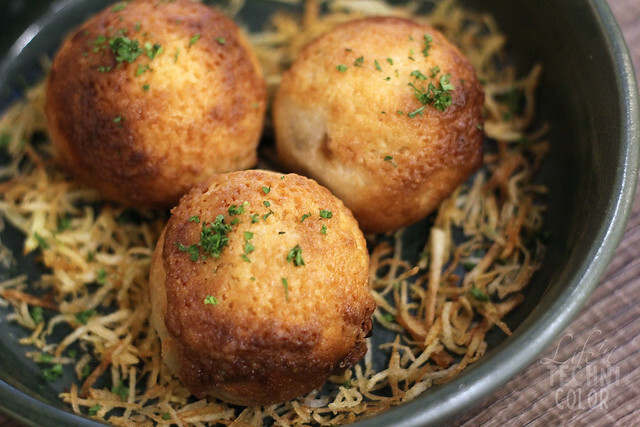 It's one garlic party that you're sure to love! 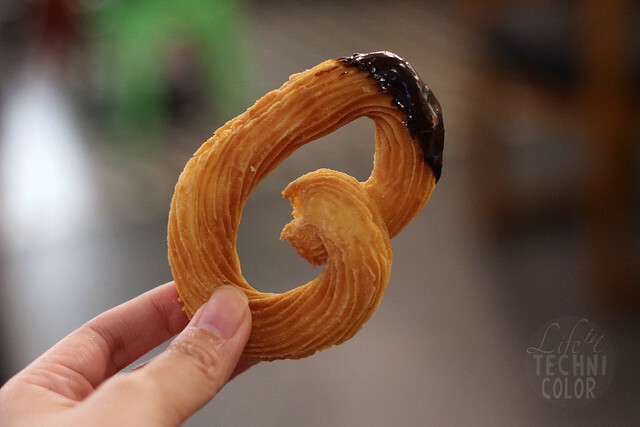 I actually ate this with rice rather than on its own as an appetizer. It's that good! 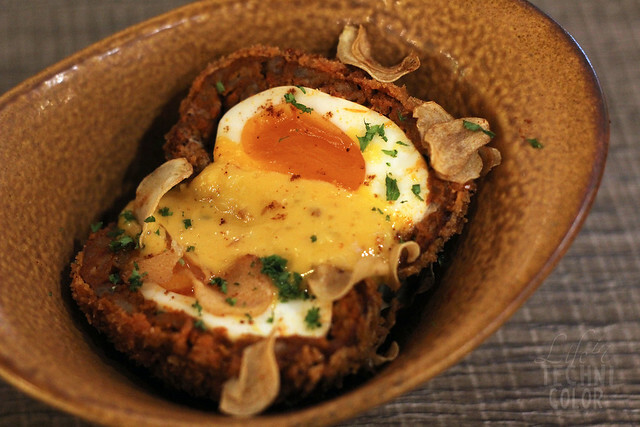 Now if you want something unique, try the Chorizo Scotch Eggs or Huevos Rellenos. It's a protein packed meal featuring sous vide egg covered with chorizo on top of crispy potato nest, served with sofrito aioli. 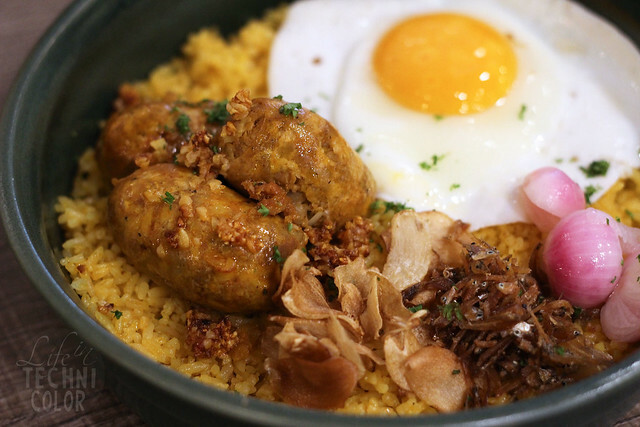 If you want something with rice, may I recommend one of their brunch plates - specifically the Handcrafted Garlicky Longganisa (P250). This one is served with your choice of scrambled, poached, sunny-side-up or hardboiled egg, Enye rice, pickled vegetables, salsa, and crispy fried anchovies. I really wish they'd make this available the entire day because I absolutely loved it! If you have a long day ahead, I highly suggest getting this one since it's pretty filling. 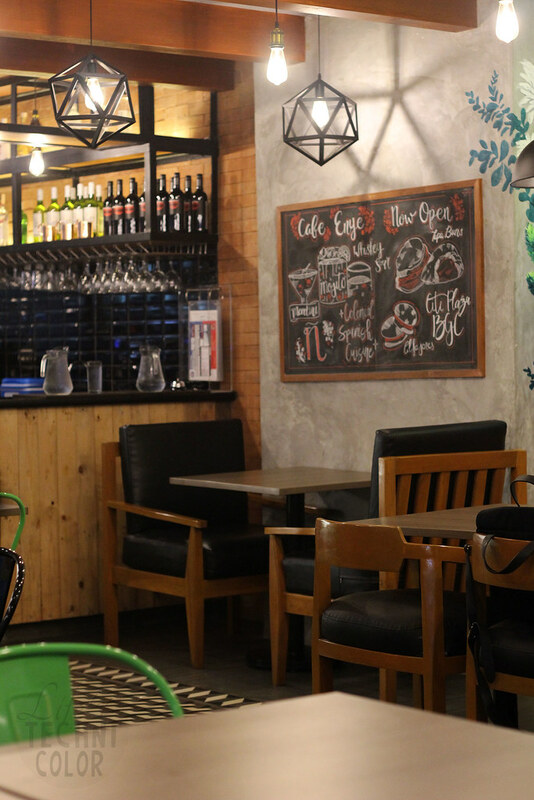 I'll probably try their House-cured Beef Tapa or Homemade Daing na Bangus next time as well! 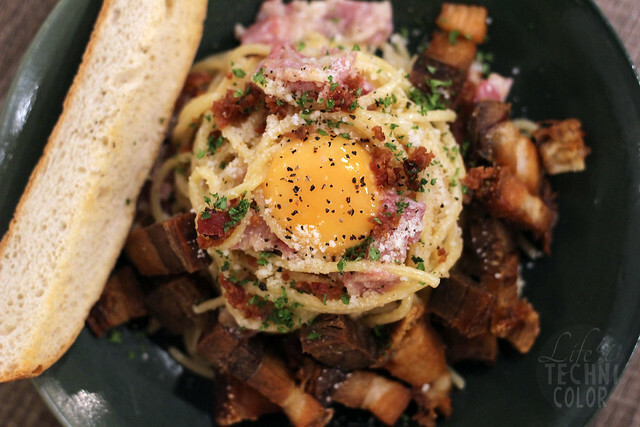 The Lechon Carbonara (P250) is one of their bestsellers and I totally understand why! It's your classic white sauce pasta levelled up with some homemade mojo chicharrones! Best to eat this warm so you can properly mix in the egg (and while the meat is still tender). 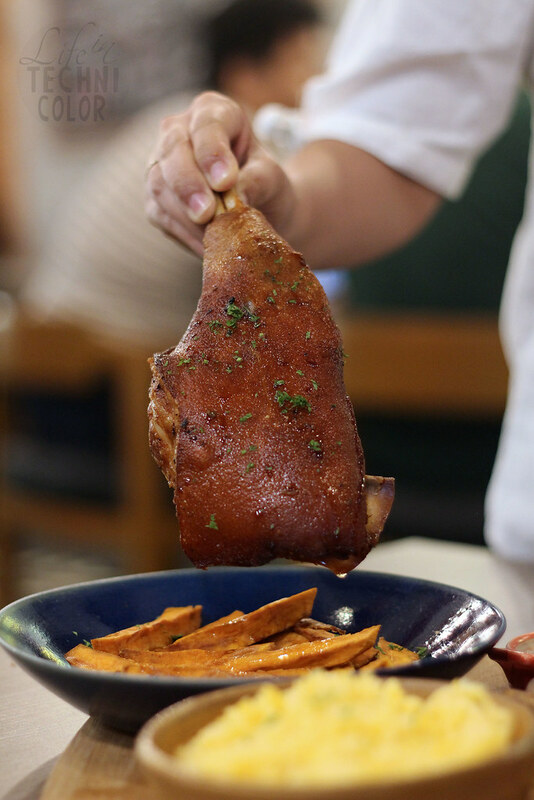 Here's the guys' favorite - the Cochinillo ala Casa (P1,400). 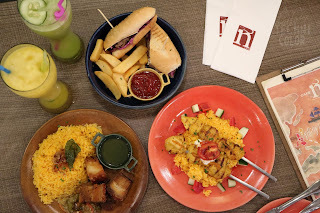 It's one of the dishes that really show the Colonial Spanish cuisine that inspired Cafe Enye's menu. Here, slow-cooked and roasted prime cut suckling pig is served with pan-seared peaches over roasted root crop vegetables, red wine and honey glaze, chimuchurri and homemade liver sauce. It turned out to be really flavorful; it was so good in fact, that Mark didn't want to share! 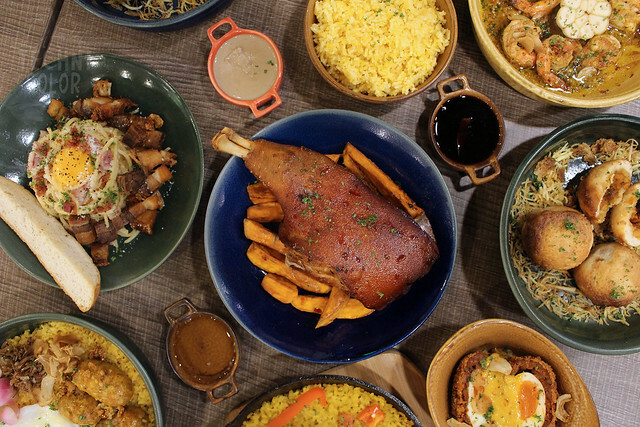 And if you're looking to pair your conchinillo with some rice, order their paella instead! 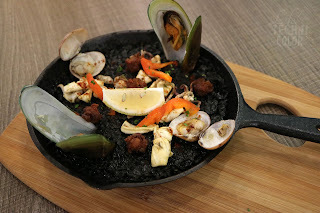 In our case, we went with the Moroccan Curry Paella (P385). 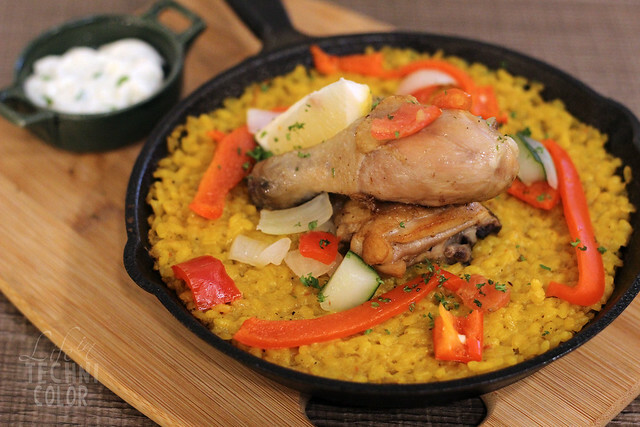 This one has chicken, curry, turmeric, and cinnamon mixed in it; it's more about the spices and is much different than our usual Paella Valenciana and Paella Negra (which are also available at Cafe Enye). For dessert, we had the Strawberry Cheesecake and Chouxros. 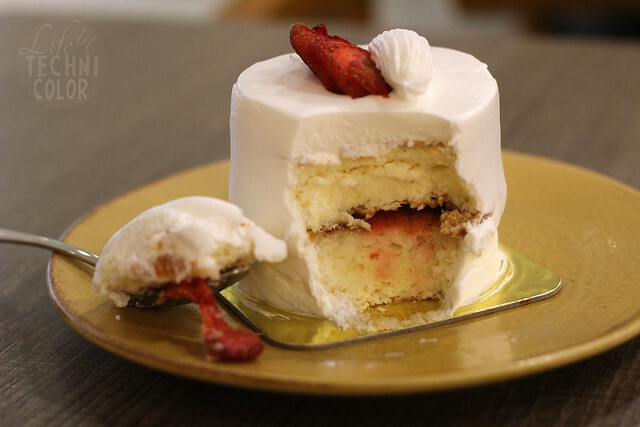 I really liked the texture and consistency of the cheesecake. It wasn't too sweet either, so that's a plus. 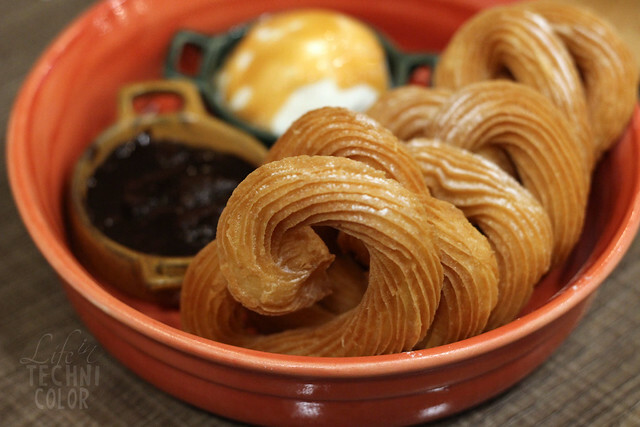 The Chouxros, on the other hand, was a bit different from your usual churros. 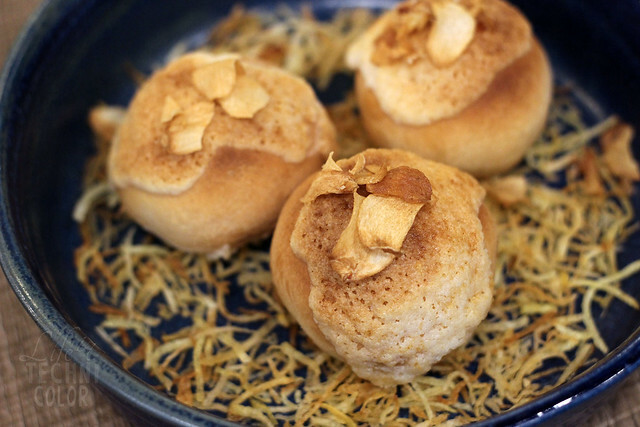 This one is made from choux pastry then served with dulce de leche and tsokolate peanut butter dips. 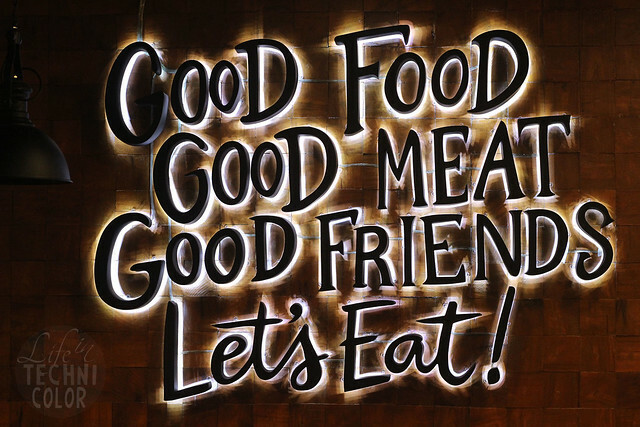 I actually went back with a different set of friends a month later and tried out some new dishes!